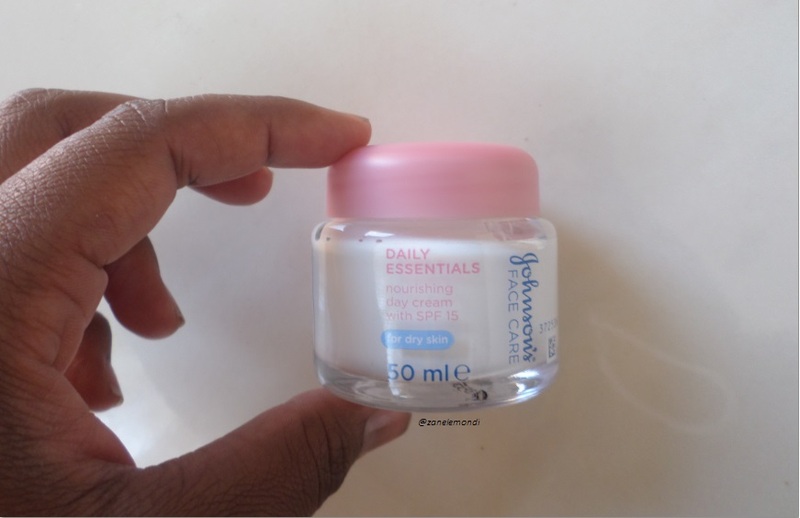 Hey great people I have a review for you today, the Johnson's Daily Essentials nourishing day cream with SPF 15 the price is R62.95 at Clicks (Shop Here), I have dry skin so I bought the face cream two months ago (July 2015) because I couldn't handle my face being extremely dry as we were still experiencing winter here in the Southern Hemisphere (South Africa - Soweto) and our winters tend to be very dry and very hush to ones skin. The day cream helped to clear out the blemishes that I had and it kept my face clear and smooth. Lightly massage over your face and neck using soft, circular movements. Use every day as part of your skin care routine with daily essentials nourishing cream wash or lotion which I will also be reviewing later this month. What is your skin care routine, please leave a comment below or send me an email so that I can review it next.